This Remembrance Weekend GHM would like to thank all our visitors who gave us their family stories. Their contributions have been added to our collection to share with the generations to come. They help us remember the soldiers who came to Beaufort War Hospital during the First World War. 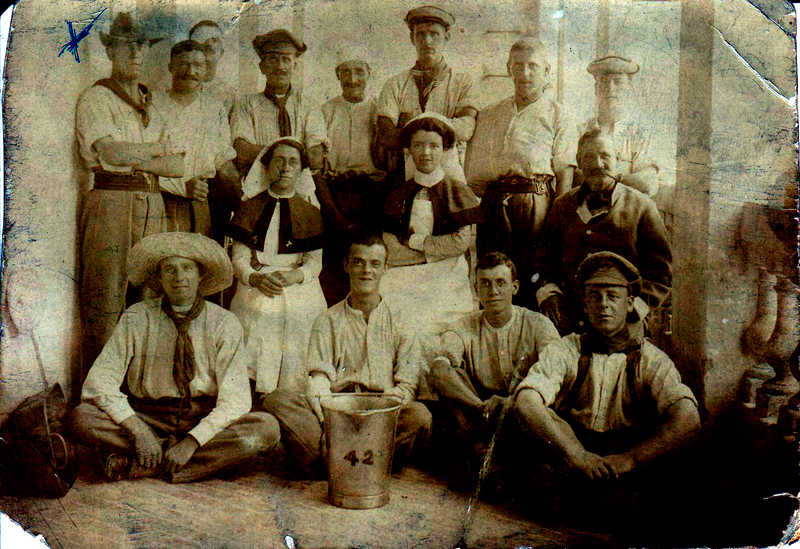 In 2014, we began to research Beaufort War Hospital with support from Esmée Fairbairn Collections Fund. We anticipated it would be a fairly easy task, after all a lot of people had spent time at the hospital. The Bristol Asylum patients had been sent to other asylums when the War Office requisitioned the building, and 29,434 soldiers had been treated at the 1200 bed hospital between 1915-1919. There was also a full complement of staff. So there should be plenty of people to choose from to tell the part the hospital had played in the war. 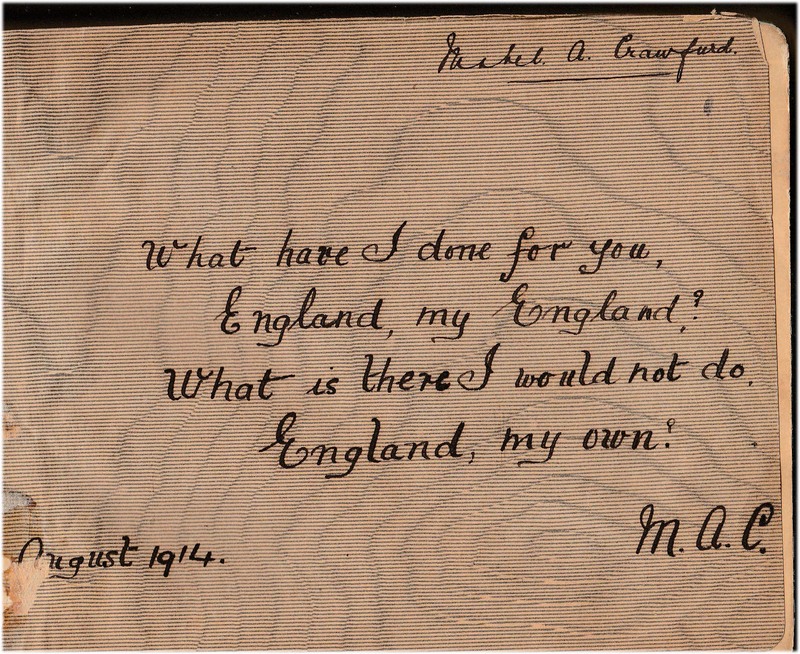 Yet, apart from the extraordinary correspondence, diary entries and paintings from one young orderly, Stanley Spencer, we discovered military and hospital records are few and far between. While the actual building and the chapel in which the museum sits are still in tact, and our collection of images and artefacts are fascinating; the stories about the people who were there have, for the most part, been uncovered by family historians, and given to the museum for our exhibition and archive. A sample of our findings can be found on our website. Heather Phillipson’s great uncle Joseph Arthurs born in Aston, Birmingham, in 1893. He enlisted in 1911, as a Private in the Worcestershire Regiment. He served in both the 2nd and 4th Battalion. On 21st March 1915, Joe with the Battalion sailed for Gallipoli, Turkey, from Avonmouth, Docks, Bristol. Within months Joe returned to Bristol, arriving at Beaufort War Hospital with an injury to his left hand in the Gallipoli Campaign. He had had a very close encounter with a Turkish soldier, who also sustained injuries after meeting Joe. After he recovered he went home on leave and then re-joined his unit. He died on the 2nd July 1916, on the second day of the Somme offensive and is buried in Cambrin War Grave extension, France. David Skidmore’s grandfather, Stanley Hugh Skidmore, was born on 12th April 1895 in Milton-under-Wychwood, Oxfordshire, into a long line of stone masons. By 1901, Stanley’s father Edward James Skidmore, had moved the whole family to Abertillery, Monmouthshire, South Wales, to capitalise on the expansion of the coal industry by building houses and chapels. Stanley Hugh signed up on 9th November 1915, as did three of his four brothers, Albert George, Gillard Edward, Sydney William. By May 1916, Stanley had joined the 188th Brigade, Machine Gun Company, which was part of the 63rd Royal Naval Division as his size fitted their requirements exactly:’height 5ft 3.5in, chest measurement 34′. This was a division of sailors who were not needed at sea, and although still part of the Navy were put under the control of the Army to fight on land. On 19th February 1917, Stanley was shot, injuring his left elbow severely during the operations of the Ancre, and actions of Miraumont, which was in the Somme. He was invalided to England on H.S Warilda, initially to 2nd Southern General Hospital in Bristol, then, following some time at Blandford, he was admitted to Beaufort War Hospital on 11th Jan 1918. This is almost a year after he was shot, so we can only assume it was quite a serious wound. He was then sent to Ashcombe House in Weston-super-Mare to convalesce. Ashcombe House was an auxiliary hospital attached to Beaufort. While Stanley was at Ashcombe House he was visited by his father Edward James. Edward James liked the area so much, and seeing the business potential moved to Weston-super-Mare and set up his building firm E.J. Skidmore and Sons in 1919. The rest of the family, brothers, sisters, uncles, cousins soon followed. 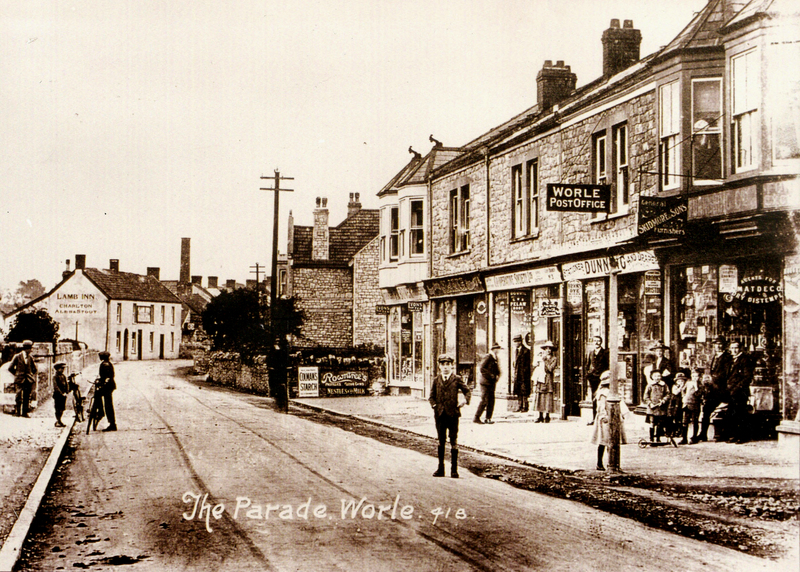 In 1920, Edward James Skidmore purchased a shop and land at 1 The Parade, Lower Bristol Road (now High Street) Worle, Weston Super Mare. The business, a building and hardware store as well as ironmongery, new and used furnishings, paint, and boot repairers. was run by Stanley Hugh due to his injures. His father, brothers, cousins continued the building business. Eventually he became the sole proprietor of the shop until his death in 1947. The shop S.H.Skidmore and Sons, is now on it’s 4th generation. Had Stanley not ended up at Beaufort War Hospital, the family would not have moved to Worle, and there would not have been a Skidmores Ltd.
Linda Pinay lives in Victoria, British Colombia, Canada. Her great uncle, Francis Victor Lambert had emigrated to New South Wales, Australia, and was working as a carpenter’s apprentice when he joined the First Australian Imperial Force (AIF), the main expeditionary force of the Australian Army during the First World War. 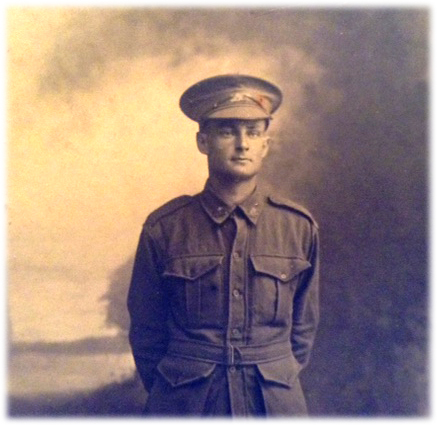 He had a long stay at Beaufort War Hospital after receiving a gunshot wound to his groin area in 1918. After the war he returned to New South Wales, and worked as a carpenter. He and his wife Dora did not have children. 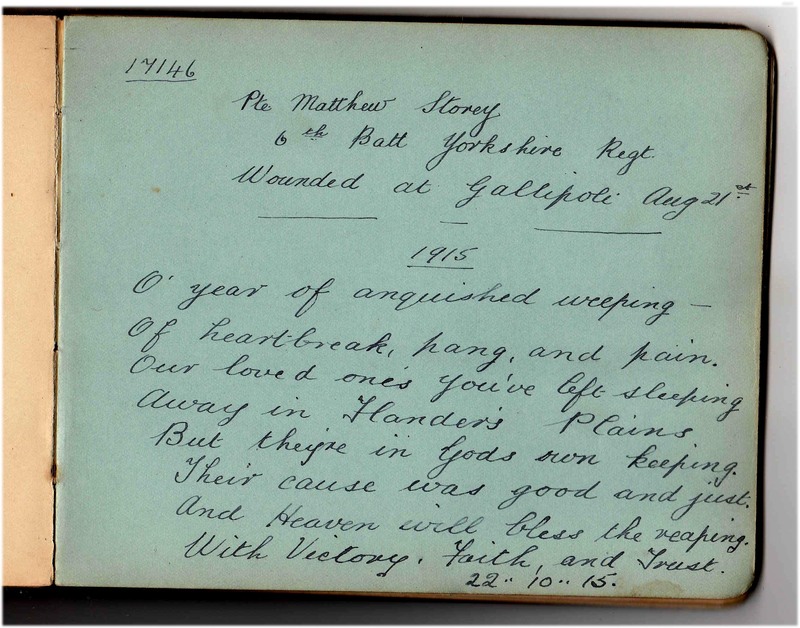 Autograph books are key to us finding the names of soldiers who had been to the hospital. We can not like so many projects look for names on grave stones, as out of the 29,000 patients only 164 died. So we are delighted David Adams generously donated an autograph book full of drawings, ditties and poems along with the signature and sometimes the date and regiment. The book belonged to ‘Aunty Mabel’, who was born to the sister of his great grandfather Charles Adams’s second wife in 1885. She married Arthur Smith, carpenter, in 1916 and died in 1969 having lived all her life at 69, Maple Road, Horfield, one of the houses his great grandfather Charles Adams built in Maple Road. David remembers her visiting his family when he was a child. She had aspirations to grandeur but the rumour was she was illegitimate, a slur in those days. She seemed very severe to him and was not much fun. 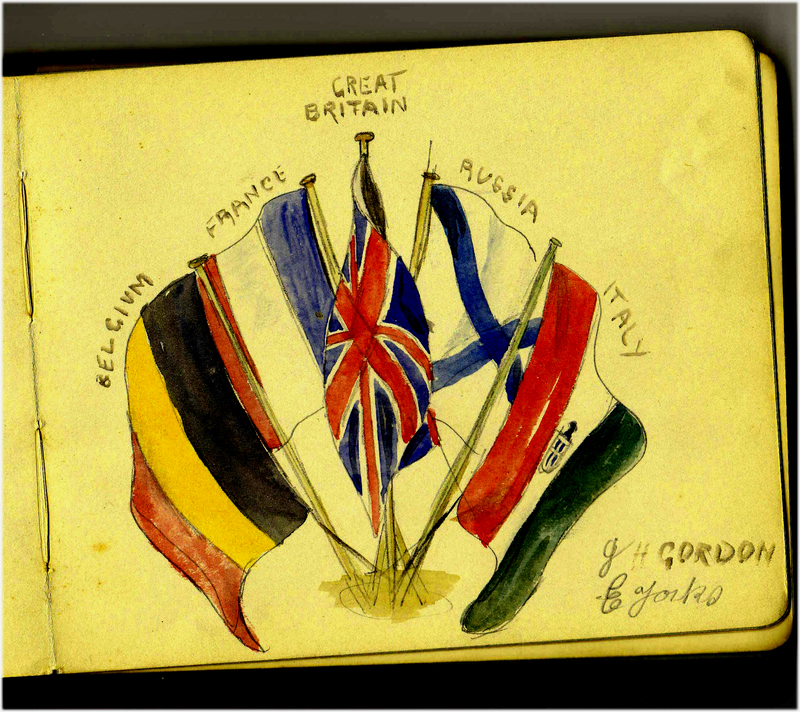 We are not sure what role Mabel had at the hospital, but she collected some wonderful autographs and fun drawings in her book, including the watercolour of the flags published as the feature image. Sign up to our occasional newsletter. We promise not to spam you.